An altimeter indicates height above sea level. 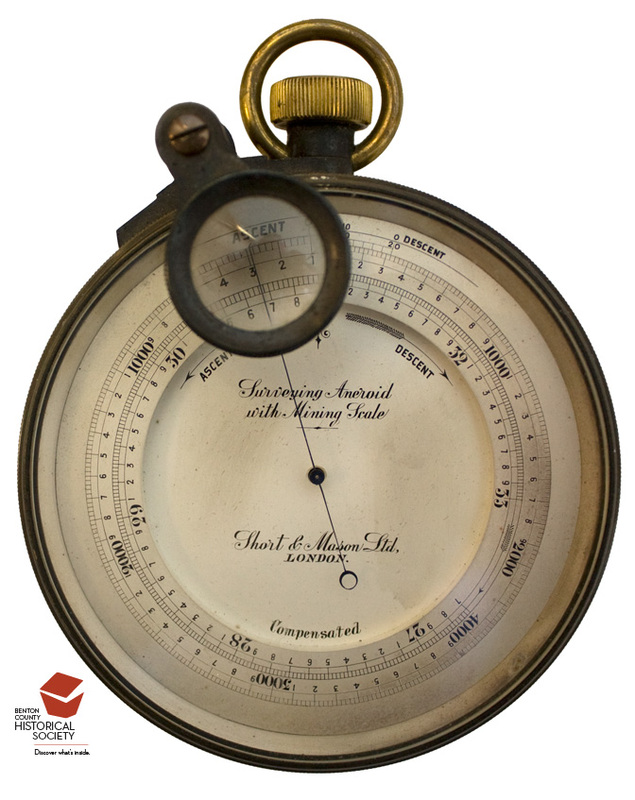 Originally barometric altimeters, such as this one owned by General McAlexander, were used by cartographers and hikers to determine the height of mountains as barometric pressure decreases with altitude. Later, adjustments allowed pilots to correct for local barometric conditions. Beginning in 1931, barometric altimeters were replaced by newer, more reliable instruments which use sound waves to determine the height of the plane above the earth. Altimeters, coupled with gyroscopic bank indicators (which use a bubble in glass tube) to tell the pilot if he was maintaining level flight or turning, permitted pilots to fly in conditions of poor visibility. James Doolittle made the first all-instrument flight on September 24, 1929.